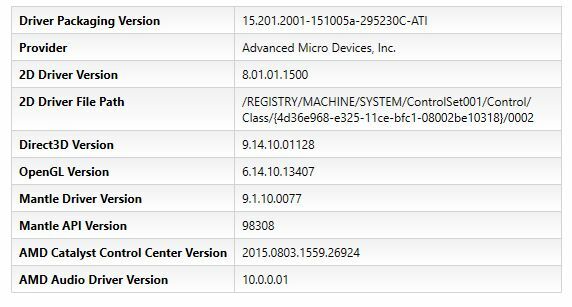 UPDATE (2015.10.14): AMD has posted (12th October) a beta version of the Catalyst 15.10. 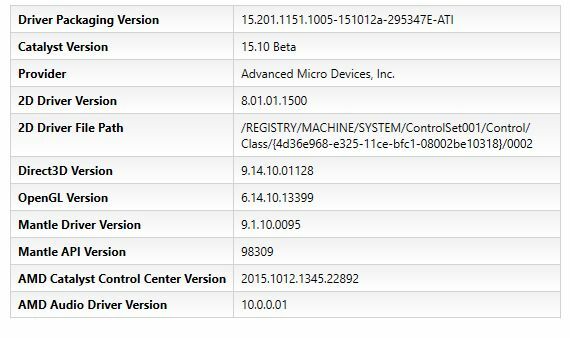 You can download Catalyst 15.10 BETA from THIS PAGE. This beta version improves Direct3D 12 performances with the game Ashes of the Singularity and brings bugfixes for Star Wars Battlefront. A WHQL version of AMD Catalyst graphics driver is available on Microsoft’s servers. You can download Catalyst 15.10 from THIS LINK. 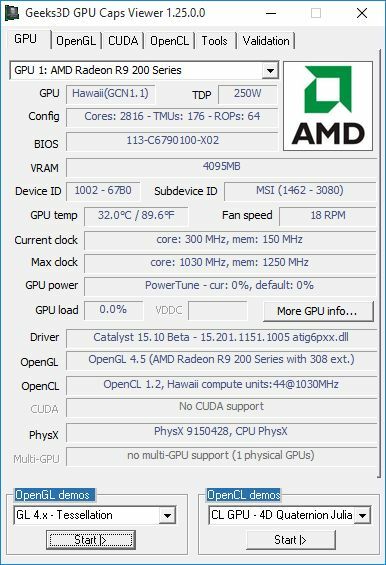 Catalyst 15.10 is an OpenGL 4.5 and exposes 308 OpenGL extensions for a Radeon R9 290X on Windows 10 64-bit. They are the same extensions than Catalyst 15.7. The GLSL version string has not been updated (4.40) and should show 4.50.